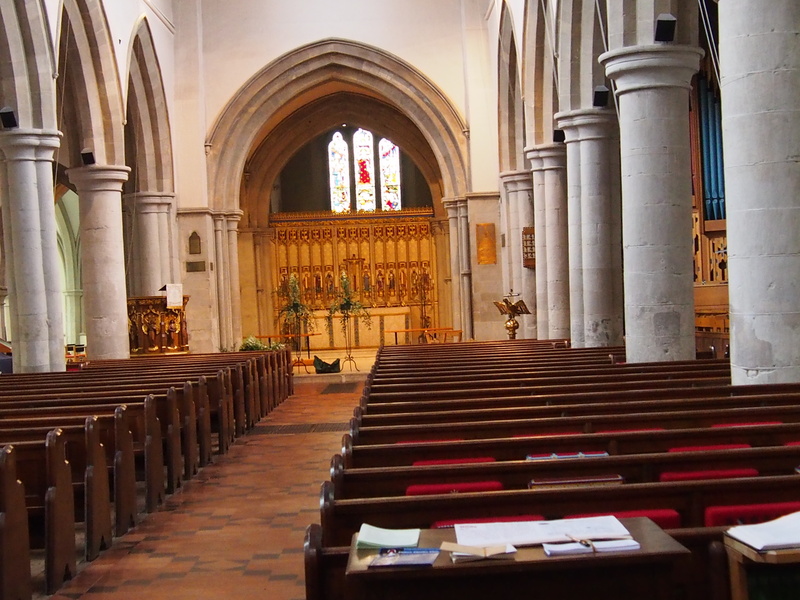 This church sits on the middle of Berkhamsted and was well visited at the time of my visit. There is a welcome notice and the doorway is kept open. Inside, the church is an interesting mix of old and new. The visitors book showed only 3 entries for May but I expect, as in many places, that this is a church where it is mainly locals calling in and they wouldn’t write in it.It is ‘there church’ after all. There was a selection of Gospel Imprint leaflets (these are very good and can be downloaded for free – see http://www.gospelimprint.com/). There is no guide book but some laminated sheets to carry around on a visit. There is a prayer board and it is made clear that these prayers are taken seriously and prayed at the services here. 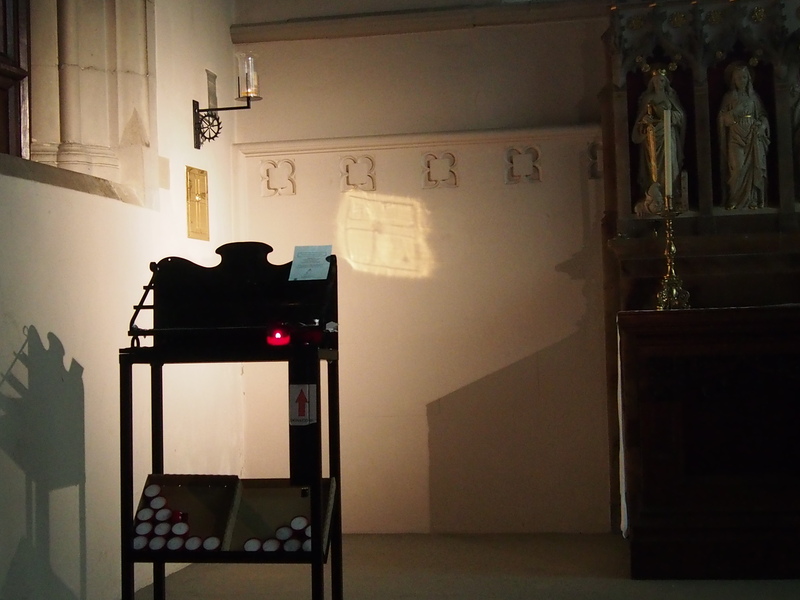 ‘Saints and Pilgrims’ was on display – a St. Albans Diocese book of saints etc for each day. 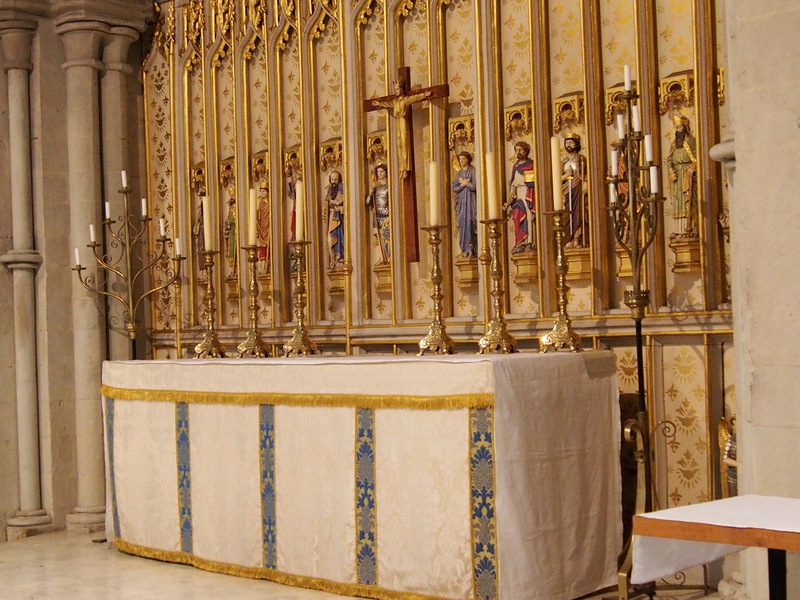 The Lady Chapel is set aside for prayer and a votive stand to light candles. 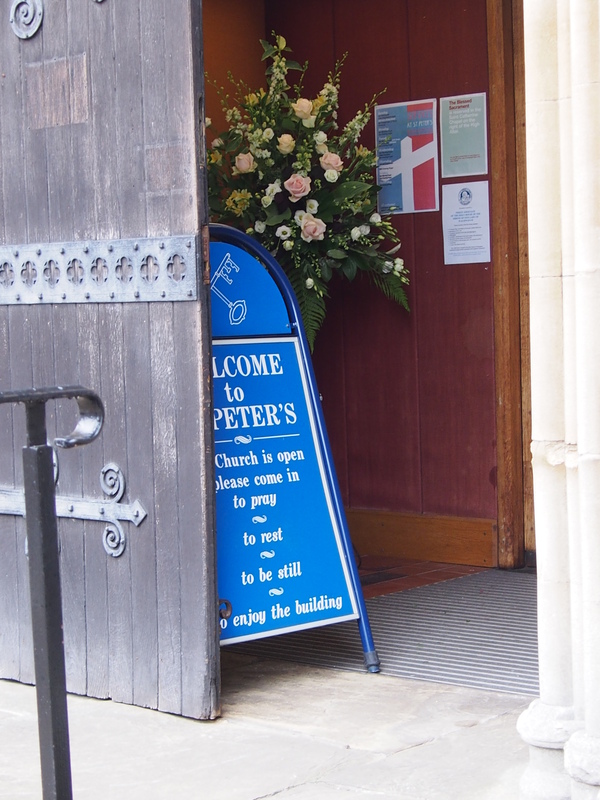 The church website is at http://www.stpetersberkhamsted.org.uk/ This has a good section where prayers can be left to be prayed. Well worth looking at. 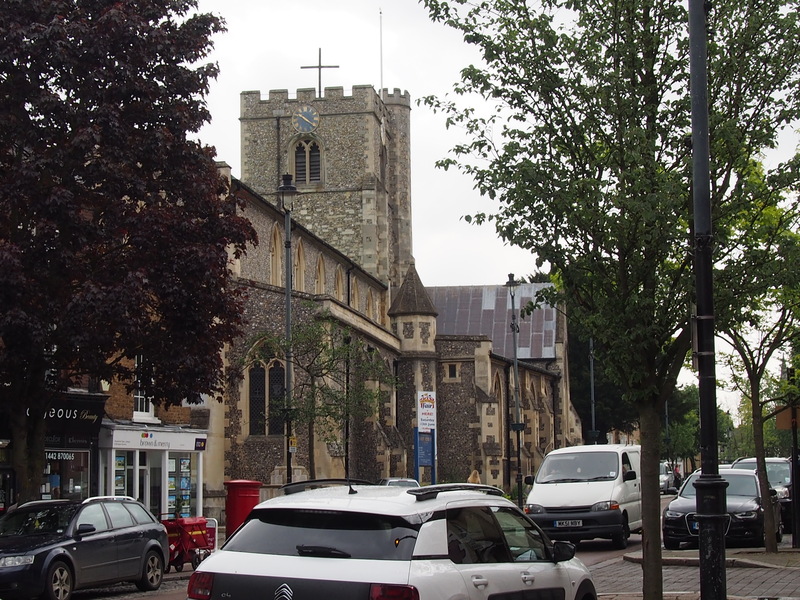 An interesting church to visit – go and have a look! Here are some photos of the interior to wet your appetite.